BRAND NEW AND IN STOCK NOW!!! 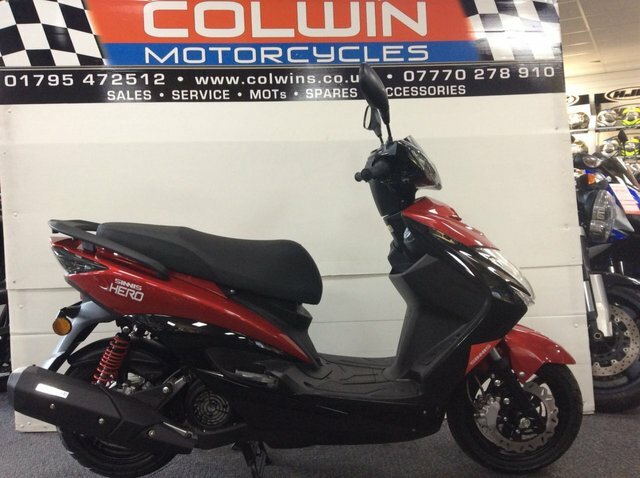 The Sinnis Hero 125cc Scooter comes in two different colours Red and Black or White and Black. Excellent scooter for commuting!!! Only £1795 plus OTR!!! 24 month manufacture parts only warranty and 12 month labour AA Warranty, recovery, relay, home start (with battery assist etc), all covered nationwide. AA warranty can be extended to 24 months for just an extra £75!!! Three years free legal cover included. Finance available subject to T's & C's. All major debit and credit cards accepted. Visit our website for loads more bikes and scooters!! Please note that all of our stock is HPI checked and clear.